A day after the Supreme Court issued contempt notice to Calcutta High Court judge CS Karnan for writing a letter to Prime Minister Narendra Modi alleging corruption charges against 20 sitting and retired judges of the apex court and high courts, legal experts have opined that the whole episode raises a question mark on the selection of judges. but said the bar concerned should be consulted by the collegium at the time of selection of judges. “The apex court has to exercise its power to prevent such judges who have been bringing disrepute to the institution,” Singh said. SCBA president RS Suri said the lawyers’ body welcomed the step taken by the court. “After this episode at least, the collegium should consult the bar concerned as the union can give right input about a person before his elevation to bench,” he said. 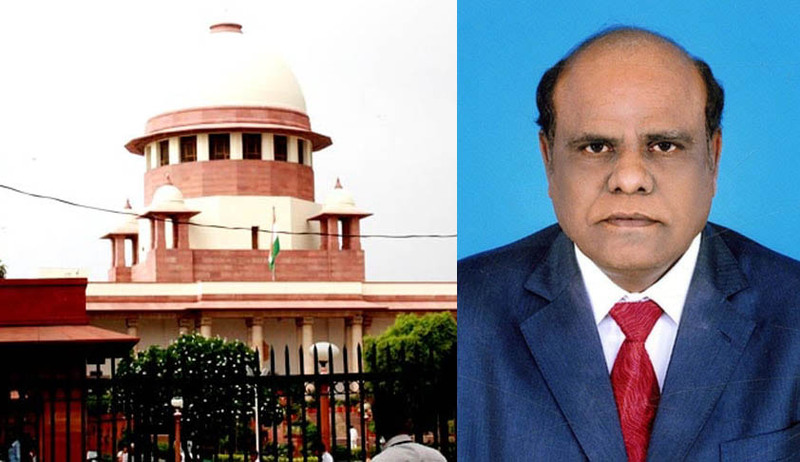 On Wednesday, a seven-judge Constitution Bench, headed by Chief Justice of India JS Khehar, issued contempt notice to Justice Karnan and directed him to appear in person to defend his act on February 13. The bench also stripped him of his judicial as well as administrative power forthwith. Earlier, Justice Karnan courted controversy for offending his fellow colleagues when he was a judge in Madras High Court. Erstwhile, Chief Justice of India TS Thakur had warned him, following which Justice Karnan had also tendered an apology to the CJI. He was then transferred to Calcutta High Court. He had written the controversial letter to the Prime Minister.